The Tudor watch is now experiencing an unprecedented revival of interest. It is a collection of watches such as the Black Bay watch that has considerably brought up to date this type of brand whose heritage is now remembered by most watch collectors. The Tudor watch, particularly this Black Bay collection, offers a highly crafted bracelet, particularly in steel, which gives each model in the collection a quality that is not found in many brands at a much higher price. With Tudor watch models, there is therefore the guarantee of having on the wrist a model rich with a prestigious heritage, a steel or NATO bracelet as resistant as it is comfortable, a Tudor movement inherited from Rolex quality standards. It is to this parent company, Rolex, that Tudor owes part of its heritage and developments. Among them, a mechanical movement manufactures, a certain devotion to the diver's watch, processes guaranteeing water-resistance. The steel bracelet is often complemented by a NATO bracelet or even a leather bracelet. They are not found in Rolex, but among the Tudor watch models, it is a way of differentiating oneself from Rolex while continuing to display one's heritage - as in the era of the Prince line that once made Tudor successful. Quality is at the heart of every Tudor watch model. In the wake of Rolex, the Tudor watch is designed to last, displaying for each of its models its own style, which can be recognised at first glance by its bezel (rotating bezel or fixed bezel), the marks affixed to the dial (water-resistant in metres), the case back and the type of bracelet. Black Bay models such as Balck Shield or Fastrider models offer a Rolex supervised manufacturing movement, with the water resistance of diver's watch models. 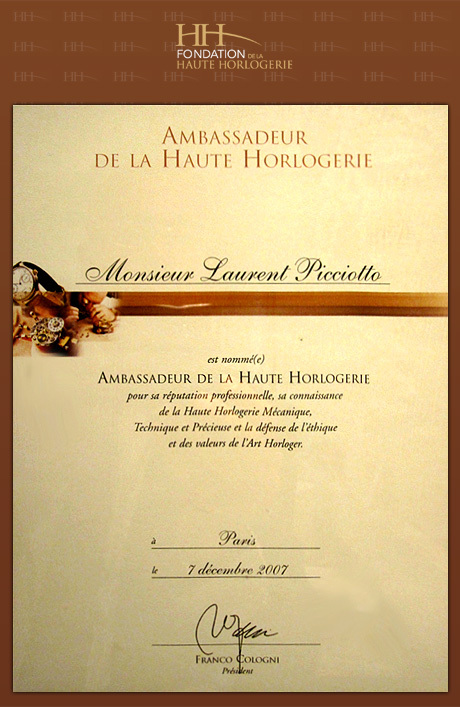 The bezel is on a number of models made of ceramic, as for most brands of diving watches. This bezel is rotating and allows to measure the time of immersion time. Some Tudor watch models are designed for this purpose, while others feature a chronograph movement, a model prized by complication collectors. These watch models feature the superlative care of Rolex models, with the same quality common to both brands. 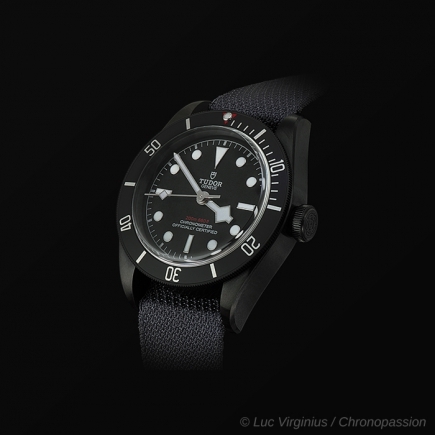 Each new edition of Tudor watches is worthy of this heritage and some models have met with massive success, including the models in the Black Bay line watch collection with steel bracelet or NATO bracelet made in France. The Black Bay GMT model is also expected to be a success, in line with the Rolex eponymous collection. 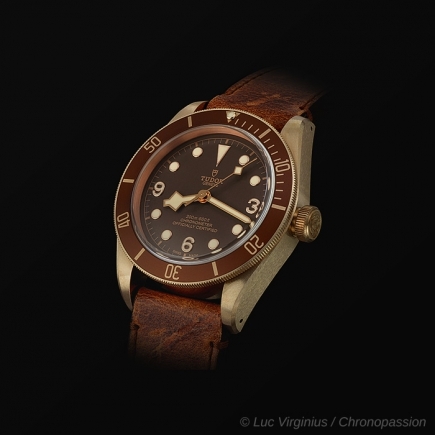 Its recent launch will probably be as successful as the models in Rolex's Submariner collection, as was the case with Tudor's bronze models, which, at a very affordable price, offer a rare quality with a material that is also rare in watchmaking. This very special watch, the Tudor Black Bay GMT wristwatch, brings together every ingredient of success. Already, a watch from the Tudor brand that carries within it the seriousness of the Rolex watch, through its ancestry. 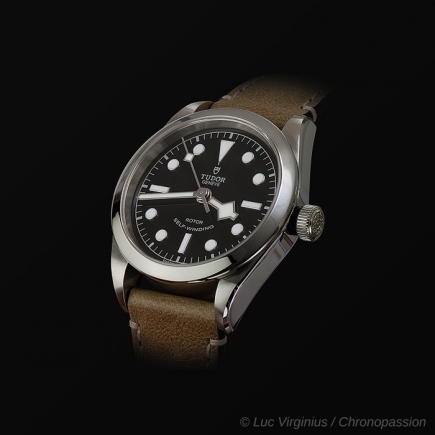 Secondly, the Black Bay collection, which, within the Tudor models, represents a watch model with already a very significant success among lovers of high-quality wristwatches capable of seducing a new group of collectors rich in many institutional brands of Swiss mechanical watchmaking. Then there is a complication, the GMT, which is not unlike the GMT developed for Rolex, with the GMT and GMT II wristwatch models, which remain among the best-selling Rolex wristwatches of all time, all models combined, from the brand to the crown. The version proposed by Tudor, the Tudor Black Bay GMT model, brings together this precious heritage in a steel case of a wristwatch model offered at a very competitive price. Even if the Rolex legacy is palpable, it is a new version of this model, developed over several years by Tudor and which imposes a different style from the Rolex GMT, the eldest to the crown of the Tudor Black Bay GMT model. This model of the Tudor Black Bay GMT wristwatch offers an interesting alternative to models with a plain bezel, higher price or diving models, with a more technical look than this GMT whose only difference is the GMT hand on its dial. With its simple and effective look, the Tudor Black Bay GMT wristwatch will undoubtedly be a landmark in the brand's history, imposing a unique aesthetic.